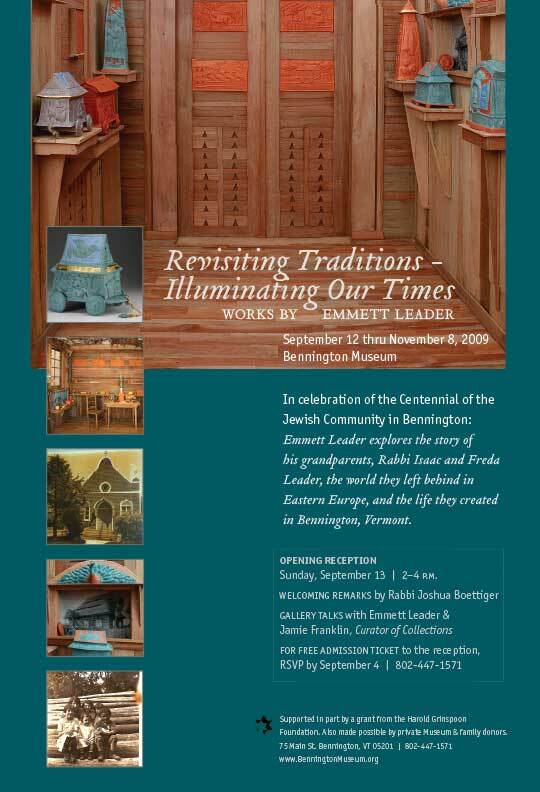 EMMETT LEADER’S exhibit explores the celebration of the Jewish holiday of Sukkot on a personal and traditional level. 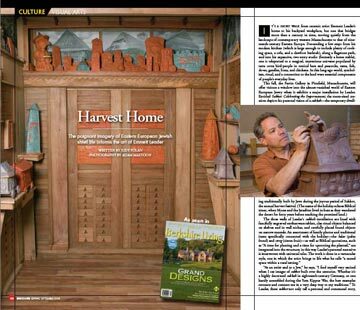 The center piece is a 6ft x 10ft sukkah, a temporary dwelling used during the holiday that has its ancient origins in the temporary shelters used during harvest time and in the forty years of wandering in the desert. 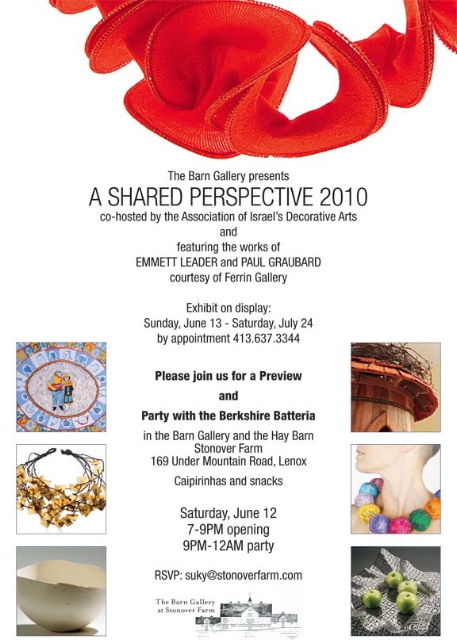 The spirit of sukkot is at once celebratory as well as a time to reflect on our vulnerability - using clay, wood, found objects and archival materials, the exhibit includes a wide range of objects, narratives and spaces that through their intimacy, function and beauty invite participation.